Here's another great piece from the local doctor's system. 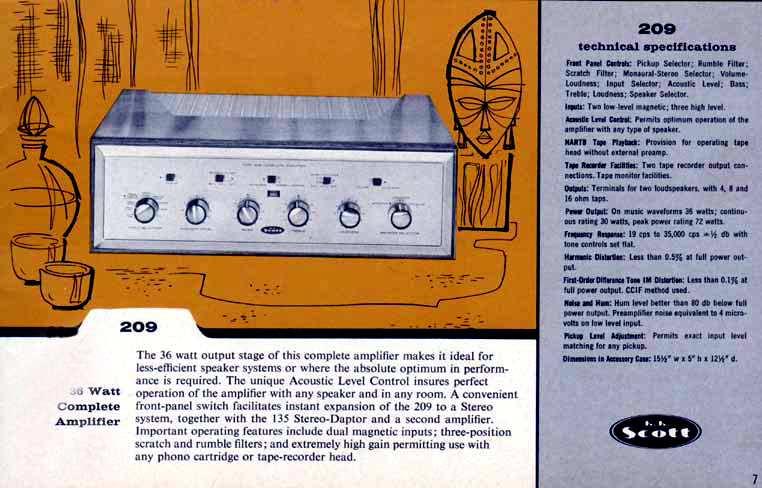 It's a very pristine original example of Scott's model 209 mono amplifier. This is one of their canted tube style chassis that operates very well. It has an output rating of 36 watts RMS and a 72 watt peak! However, if you want to replace the capacitors and make this thing perform for many hours, you will be getting a good unmolested example in which to perform such service.